Hair Speak Salon: HKSummerSpectacullar - City Sightseeing by "3 Cups of Coffee"
HKSummerSpectacullar - City Sightseeing by "3 Cups of Coffee"
Is the meaning, we drink 3 cups of coffee while enjoying Hong Kong city sightseeing or what? The answer is “maybe yes maybe no”. Let’s read my story below to find the answer…….. , and I hope all of you enjoy it! Summer in Hong Kong has been celebrated annually. This year, Hong Kong Summer Spectacular is held from 22nd June to 31st August 2012 with some attraction and festival http://beta.discoverhongkong.com/eng . We can enjoy Hong Kong trip by joining the event or just city sightseeing. In this summer Hong Kong Tourism also helds a photo contest. First thing we do to visit Jackie Chan’s country of birth is looking for flight. We can choose direct or indirect flight from Jakarta. Direct flight e.g. Garuda and indirect flight e.g. Air Asia JKT-KL-HK, Tiger Airways JKT-Sin-HK or Jetstar Sin-HK and JKT-Sin by other flight. The flight will landing in Hong Kong International Airport. It is colloquially known as Chek Lap Hok Airport, being built on the land of Chek Lap Hok by land reclamation. Then, how we can go to the city by the cheap transport? If we have family or friend who can pick up at the airport, it will be the best one because hopefully it will be no charge (ha…ha…, hope, hope, hope). But if we go by ourselves, the cheapest one is taking Airport Express Train. The station platform is within the terminal building about 50 meters from the arrival hall and clearly signed. There are the trains every 10 minutes and we only need 25 minutes to Hong Kong Central. The Airport Express train is link to some MTR (=Mass Transit Railway, in Singapore we call MRT) Orange Line at Tsing Yi Station, Kowloon and Hong Kong Central. We only need 25 minutes from airport to MTR Central Station. 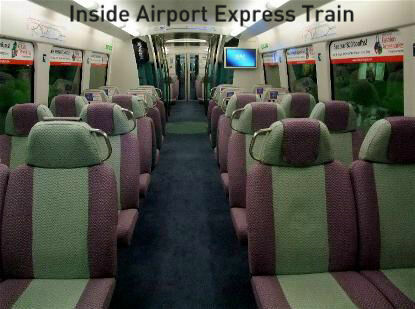 The Airport Express Train passengers can use shuttle bus from MTR station Kowloon and Hong Kong Central to and from some major hotel (details please see http://www.hongkongextras.com/to_fromairport.html). The Airport Express Train Adult Ticket Fare from Airport to Hong Kong Central is HK$ 100 for one trip and HK$ 180 for round trip. We can buy Octopus Card to use Airport Express Train and most of public transportation, MTR, Tram, Peak Tram, Bus and Ferry. Octopus Card is an electronic store-value ticket, like EZ link card which use in MRT SIngapore. The fare will deducted from the stored value each time, so we do not have to carry heavy coins. The card is valid for three years. We can buy Octopus Card at Airport Express Customer Service Centers in area A and B of arrival hall Terminal 1 & arrival hall Terminal 2 and MTR Customer Service Centers. The price of Octopus Card is HK$ 150, included HK$ 50 deposit which can be refund. The card value can be top up at MTR Service Centers. After talking about airport transportation, let’s talk about the city sightseeing trip. Oo…., oow…. But, I think, there is a missing topic. We can book hotel via local travel agent or online booking via agoda.com and other online web before we depart. The important consideration when we choose the hotel is hotel connection to MTR station or other public transportation terminal. We can check hotel location in Google map. Now, let’s we explore Hong Kong City Sightseeing! Assuming, we start the journey in the morning. The first place we visit this city sightseeing is The Peak (Victoria Peak), a mountain which located in western half Hong Kong Island. The peak is also known as Mount Austin. We can go to The Peak by bus no 15, minibus no 1 from public transport terminal, and if we want to try exciting transport, we can take The Peak Tram. The Peak Tram Lower Station is located at Central's Garden Road St Joseph Building (Pictured in the middle), and we can go there by MTR. From Exit J2 Central's MTR Station, walk along Garden Road which is in between The Bank of China building and The Cheung Kong Centre. The walk to the tram station only takes about 15 to 20 minutes. The Peak Tram is the steepest cable car in the world and the first mechanic transportation in Hong Kong. 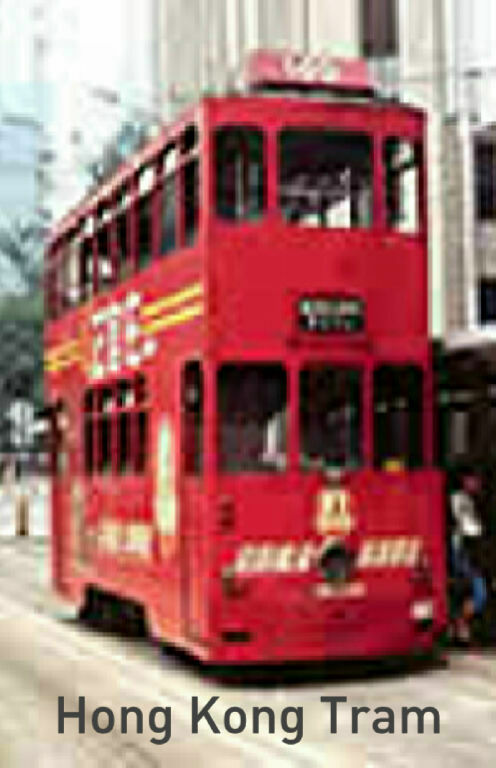 The peak tram has been operated since 1989, connected Hong Kong Center to Victoria Peak with 1.4 km distance. Climb 45 degree (WOW…! The degree is creating my beating heart! ), The Peak Tram up the hill and along the journey we can see the sea north of Hong Kong, Victoria harbor and Kowloon. Seats tram design is unusual because all seat face to the front, then when we go back from the peak, the train road back and the passenger sit at the same way, to avoid that passengers are not tumbling when the tram go down at steepest way. The Peak Tram tickets fare are HK$ 22 for one-way and HK$ 33 return. Peak Tram Operating Hours: 07:00 to 00:00 with frequency every 10 to 15 minutes. Octopus card is accepted to pay. 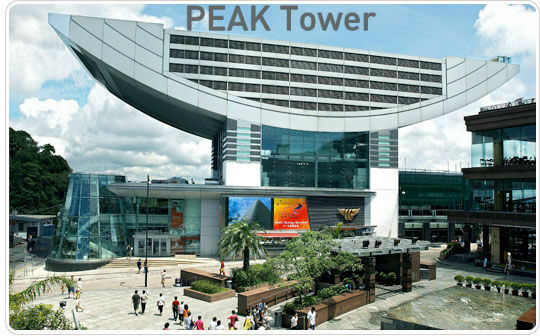 At the peak we can enjoy Hong Kong spectacular view at Sky Terrace (entry fee HK$ 30). If we can go at night, the view is more beautiful with spectacular lighting. 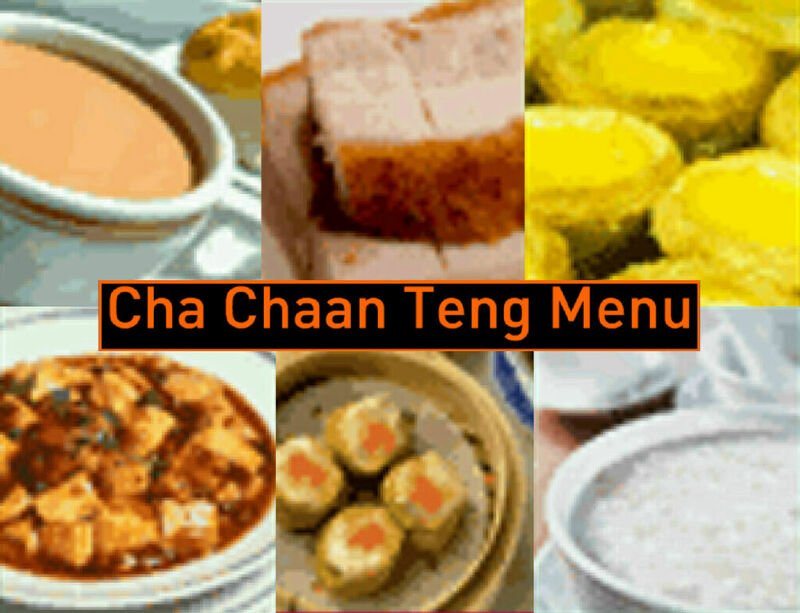 At the Peak Tower there is some shops and we also can try to enjoy cha chaan teng food, in our record there is one branch of famous cha chaan teng in Hong Kong, Tsui Wah at ground floor. Cha Chaan Teng is the most iconic dining in Hong Kong. The menu is combination of western dining and oriental dining, serving a wide range of food, from steak to wonton noodle, to curry to sandwiches. Our normal spending at Cha Chaan Teng around HK$ 40-100, and of course, it can be more than that if we take more portion. After enjoying the Peak, we can continue our city sightseeing by tram. These double-decker streetcars have been travelling through Hong Kong's busiest thoroughfares since 1904 and Hong Kong Tram is the only one tram in the world which has two floors. The best view if we want to enjoy city tour by tram, take the front sit at the up floor. Hong Kong Tram operates 6 main routes running between Kennedy Town and Shau Kei Wan every day from 6:00 to 24:00 and departs in every 1.5 minu tes. The tram routes are Shau Kei Wan to Western Market, Shau Kei Wan to Happy Valley, North Point to Shek Tong Tsui, Causeway Bay to Shek Tong Tsui, Happy Valley to Kennedy Town and Shau Kei Wan to Kennedy Town. Tram is the most economical mode of transportation in Hong Kong. Regardless of distance, only HK$2.30 will be charged for each adult passenger. Children aged below 12 and senior citizens aged 65 or above can enjoy a lower fare at HK$1.20 and HK$1.10 respectively. Octopus Card can use to pay the tram fare. To start our city sightseeing by tram, from lower station of Peak Tram, we can walk to MTR Central station and take MTR to Shau Kei Wan station, exit at B1 and walk along Shau Kei Wan Main Street East to the Tram Terminal. The first journey, we can take route Shau Kei Wan to Kennedy Town (80 minutes). At Kennedy Town, MTR still in progress and plan to operate at 2014. Therefore to continue our journey, we can take second journey by Tram, from Kennedy Town to Causeway Bay (55 minutes), then, follow the journey by walking to Time Square. Time Square is one of five big malls in Hong Kong, Pacific Place at Admiralty, The Landmark at Central, Harbour City at Tsim Sha Sui and Festival Walk at Kowloon. Time Square offers 230 shops, cinema, restaurant and also food court. We can have dinner here before continue our city sightseeing trip. In the ground floor podium, there is gate to MTR Causeway Bay (gate A1) therefore easier for us to go there. 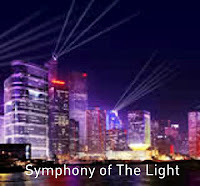 Our next trip is Avenue of Stars and A Symphony of Lights. We go there by MTR from Causeway Bay station to MTR Central station. Actually, the easiest way is stop at MTR Tsim Sha Shui, but because we want to try Star Ferry, we stop at MTR Central. To go to Central Star Ferry pier, we take exit A at MTR Central, then walks to the pier along Man Yiu Street. 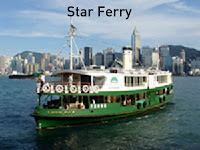 Star Ferry is a double deck ferry and become one of famous transportation in Hong Kong. Star Ferry has operated since 1888. Along our journey, we can enjoy view along Victoria Harbour. Sometimes, the Star Ferry crew uniforms ancient mariner which interesting to take their picture. After arrive at Tsim Sha Sui pier, nearby, we can see Clock Tower. is the only remnant of the original site of the former Kowloon Station and the Kowloon Canton Railway. 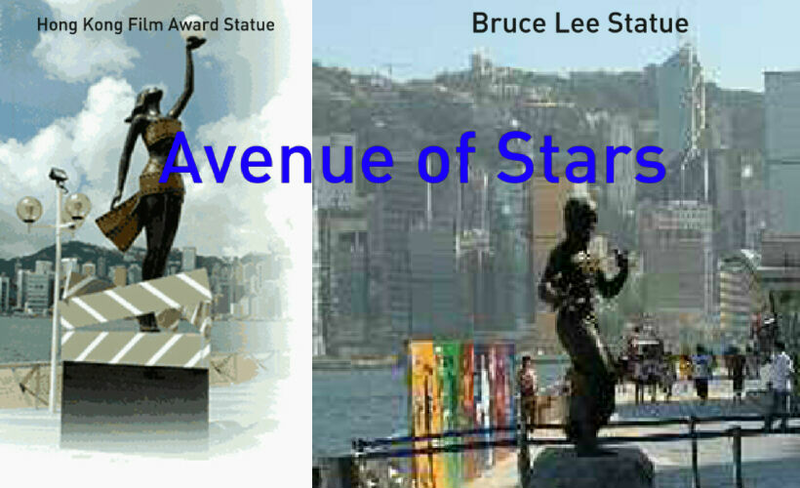 Avenue of Stars is along Victoria harbour waterfront and this is free of charge entry. We can see a 4.5 m tall replica of the statuette given to winners at the Hong Kong Film Awards, a 2.5 m bronze statue of famous Hong Kong famous film star-Bruce Lee, the story of Hong Kong's one hundred years of cinematic history is told through inscriptions printed on nine red pillars. Some plaques contain hand prints and autographs of the stars set in cement and autographs; Jackie Chan, Michelle Yeo, Jet Li, Chow Yun Fat and Meggie Cheung. There are three souvenir kiosks along Avenue of Stars. For Jackie Chan’s fans, one of three kiosks sells Jackie Chan merchandize and memorabilia. Near this place, we can enjoy for free, A Symphony of Lights. 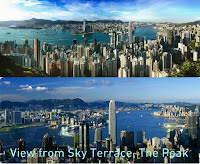 To get best view, go to the waterfront between Avenue of Stars and the Hong Kong Cultural Centre. We can enjoy the spectacular light start at 8 p.m. and we can enjoy it for free (Ho.. ho…, I like it! Free of charge again). 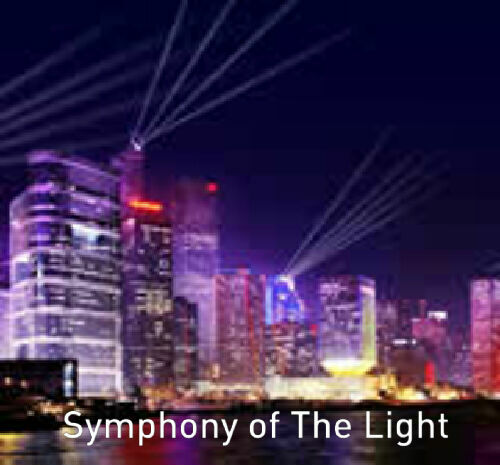 The show creates an all round vision of colored lights, laser beams and searchlights performing a stunning, music and narration that celebrates the energy, spirit and diversity of Hong Kong. There are five main themes: Awakening, Energy, Heritage, Partnership and Celebration. The last journey for this day city sightseeing is a heritage market which sales cheap product and the palace will remind us the Hong Kong heritage. We can go here by MTR, start from our last MTR station, Tsim Sha Sui to MTR Jordan. Temple Street is the largest night market in Hong Kong. The market’s name was take from the Tin Hau Temple which it bisects from north to south. This market also called “Man Market” as its first time target, male customers and offer huge range of tacky and often counterfeit goods. Hong Kong also has “Ladies Market” in Mong Kok, Kowloon. It’s looked fair that each men and women “have” market. But at this time, actually, both of the market sell not goods for man or woman only, therefore, now it is only name. At this city sightseeing, although I am a woman, I choose this “Man Market” because I interest to see local performers such as opera singer that perform occasionally in the section of the market from Public Square Street to Jordan Station. Hopefully, can see their attraction and take a photograph with the street opera performers. Opera is Hong Kong cultural legacy and to taking care this legacy, Hong Kong government presents Chinese Opera Festival in summer, this year the festival on 15 June to 5 August 2012. (I don’t calculate breakfast, lunch and dinner cost because I assume we spend cost equal to our daily food spending). TOTAL COST is HK$ 104.3 or equal Rp 125,000. This total cost is equal of the price of 3 cups of coffee in famous coffee shop. So, now, all of us know the meaning of this article’s title. We only spend money equal to 3 cups of coffee price to have city sightseeing journey. But, the answer in the beginning of this article could be correct too (oh yes?) Yes, if since the city sightseeing, we have 3 cups of coffee, 1st when breakfast, 2nd when lunch and 3rd when dinner. If we have more money, we can add some things in this journey e.g. see wax statue at Madame Tussauds at Peak Tower with entry fee HK$ 160 (there is some promotion during summer and new design of Michael Jackson and Joey Yung wax statue) and shopping; In this summer, Visa helds Visa Shopping Indulgence Lucky Draw for all Visa cardholders. Hope all of you enjoy reading this article and same with me want to visit Hong Kong again!